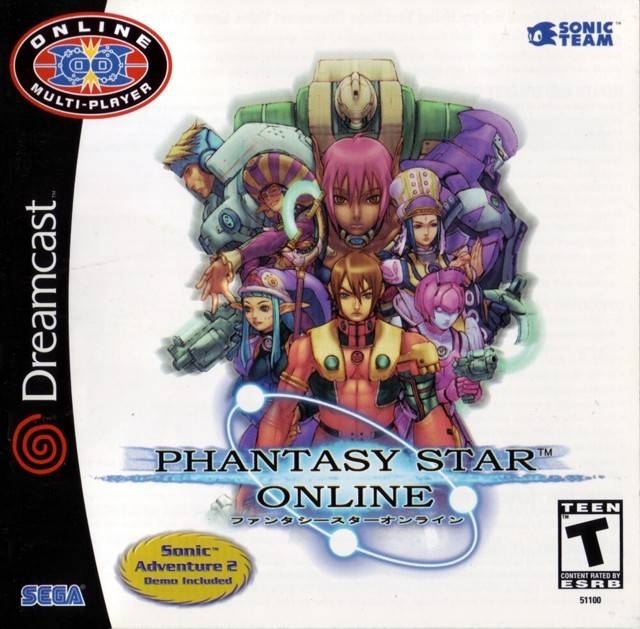 Phantasy Star Online (PSO) is an online Action RPG title, originally released for Dreamcast in 2000. 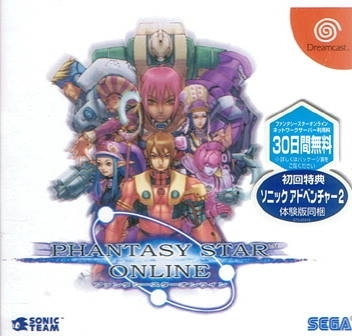 The Phantasy Star Online titles are a sub-series of Sega's Phantasy Star series of games that began in 1987. 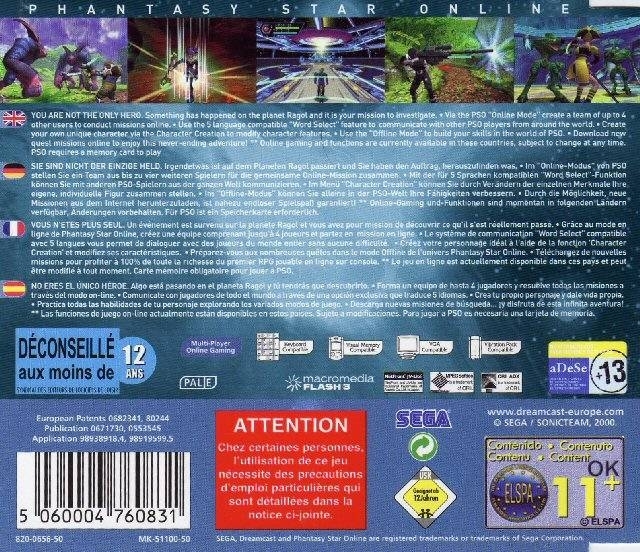 With the exception of Episode III, the PSO games themselves are simple hack and slash type role-playing games where the player slays monsters, levels up, buys new equipment, etc. 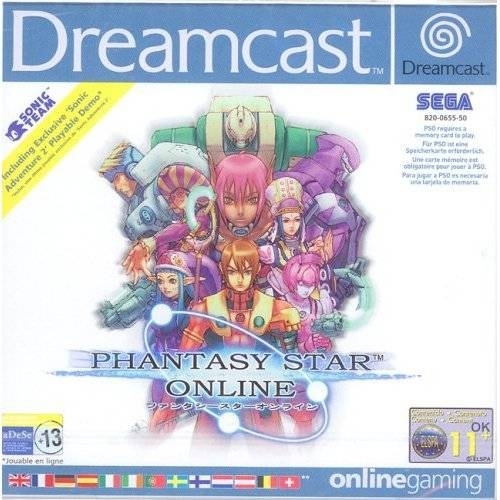 The online Phantasy Stars differ from the previous games of the series by offering a real-time -- rather than turn-based -- approach to combat and seamlessly integrating this with the exploration/plot development aspects of the game. Great game. 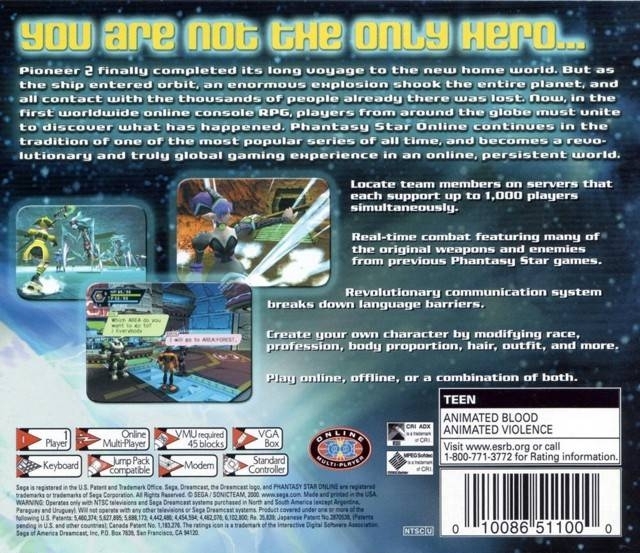 I spent countless hours on it. 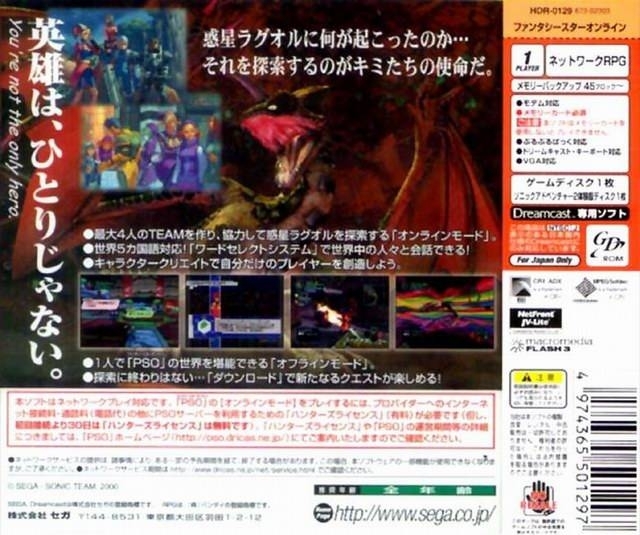 yup this sure was addictive for its time and it ran great on dial up!! this game is a drug!! 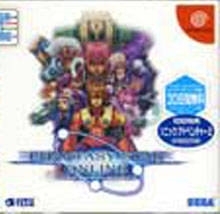 i still got all versions of it and now playin' the DS version of it ( PSZ ) its AWESOME!!! As for as consoles go this was completely revolutionary. 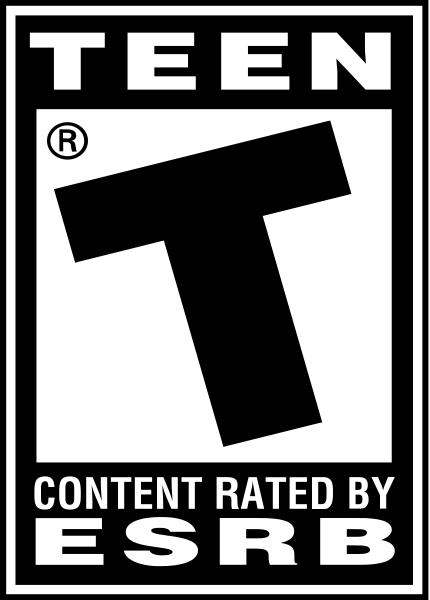 My mono lasted an extra week and a half because of this game.